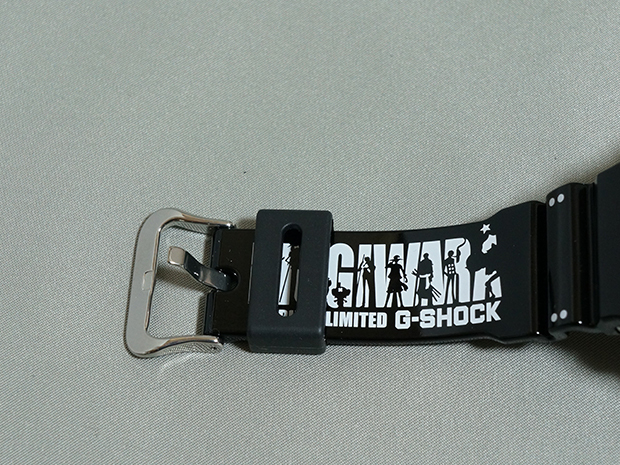 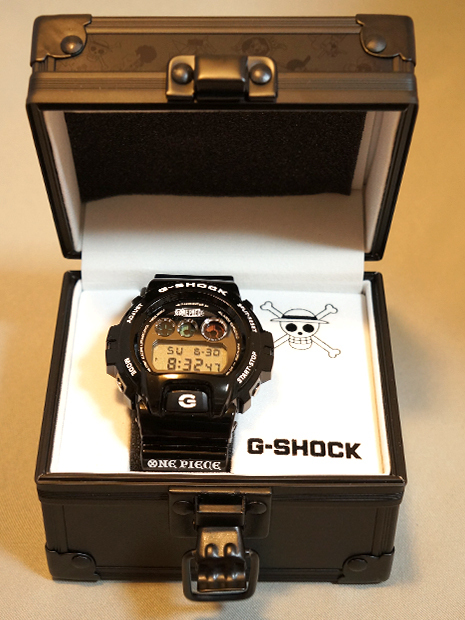 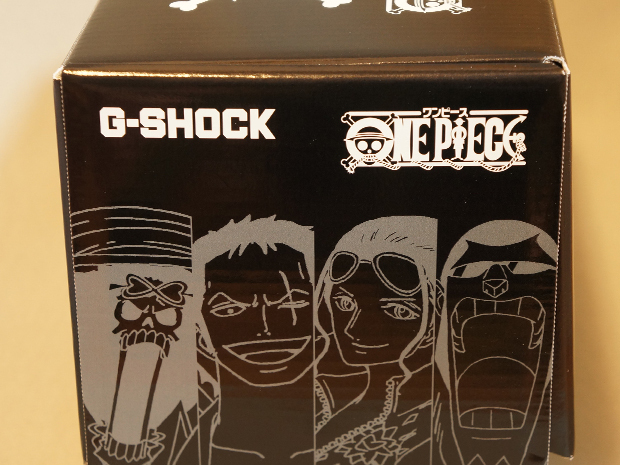 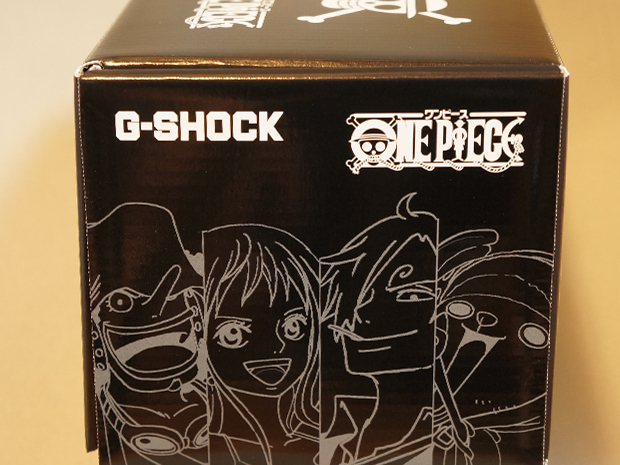 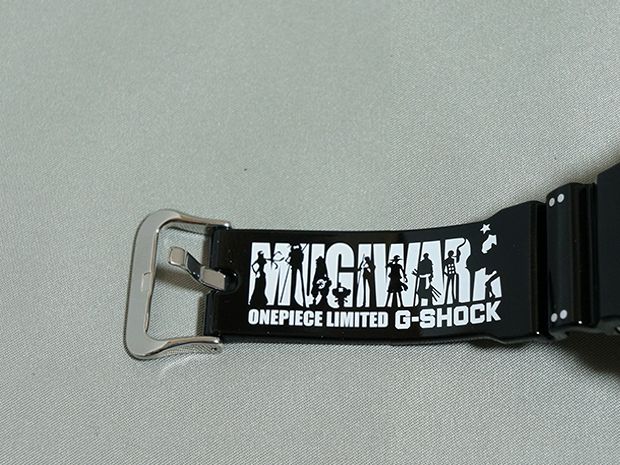 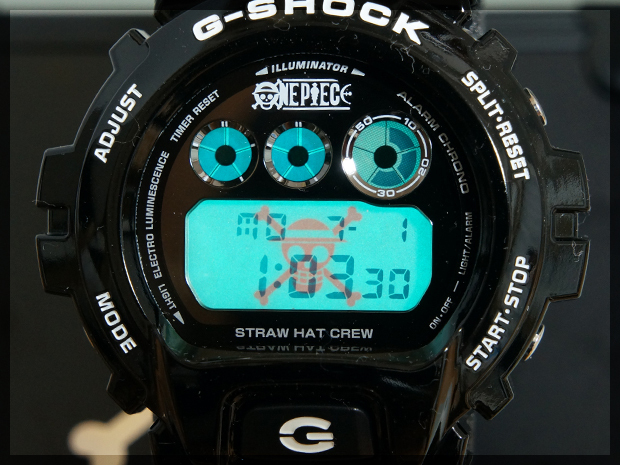 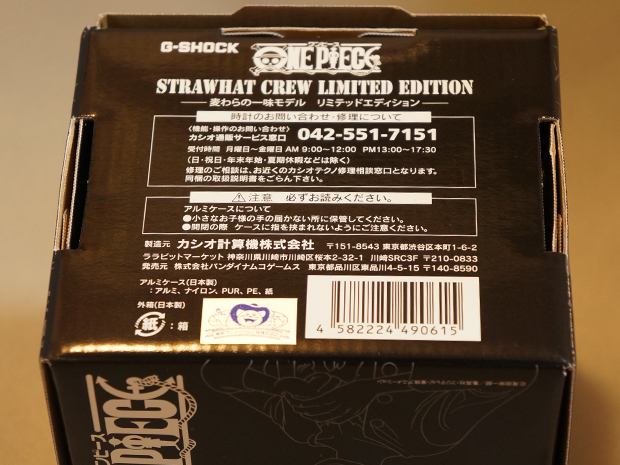 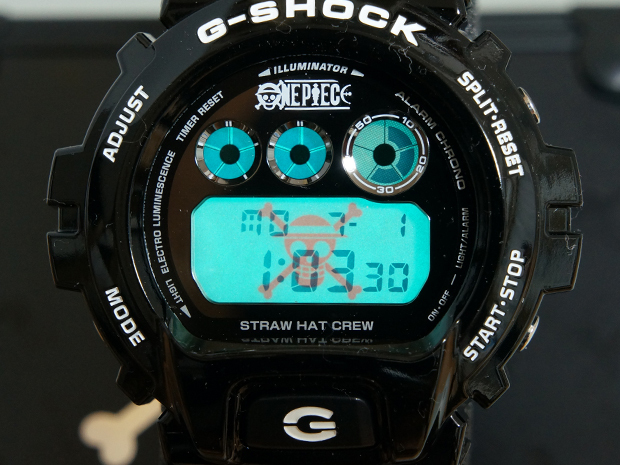 G-Shock – One Piece – Straw hat Crew – Limited Edition, only 3000 units produced (sold from March 2013). 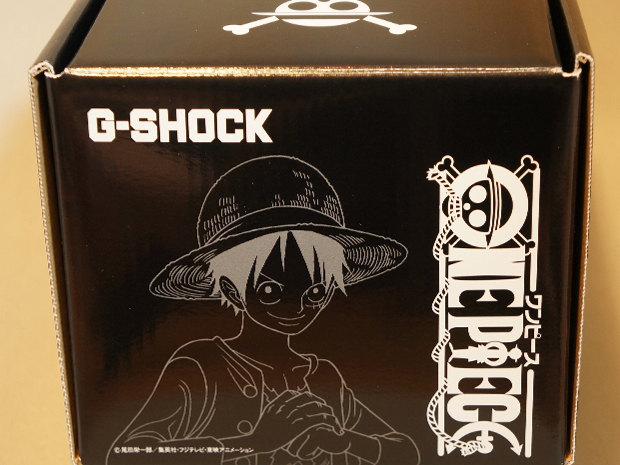 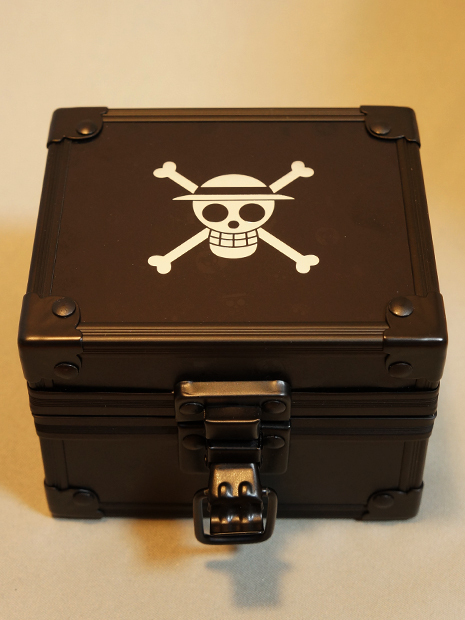 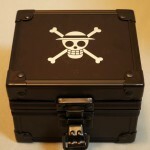 Press the G button and the EL backlight will illuminate revealing the Straw hat pirate flag. 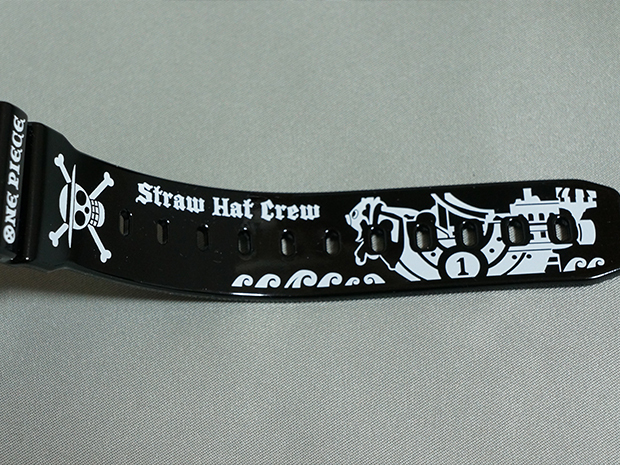 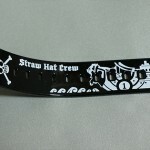 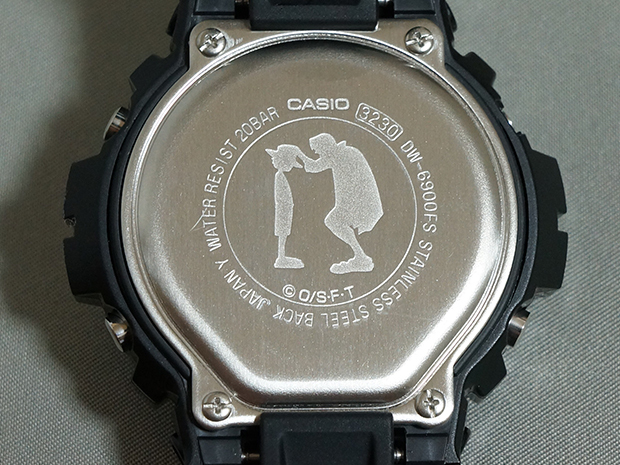 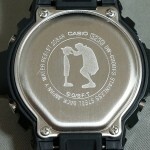 On the back of the watch, is engraved the famous scene where Shanks gives Luffy the Straw Hat. 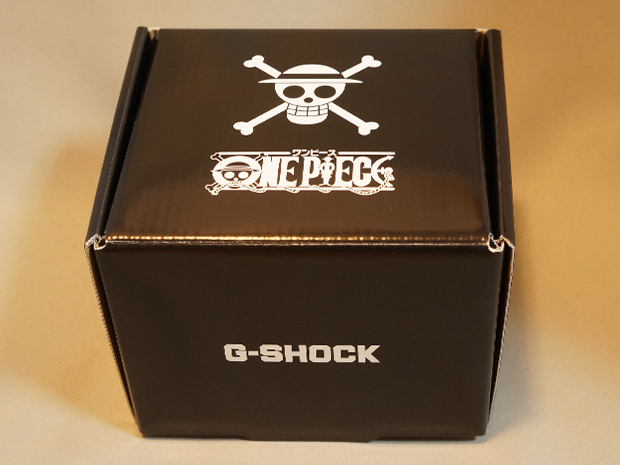 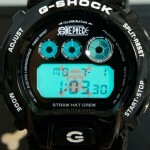 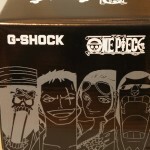 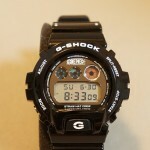 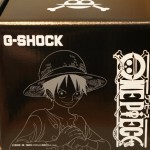 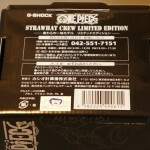 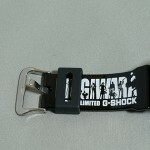 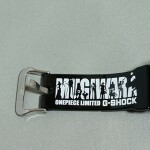 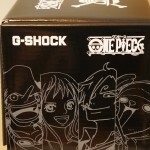 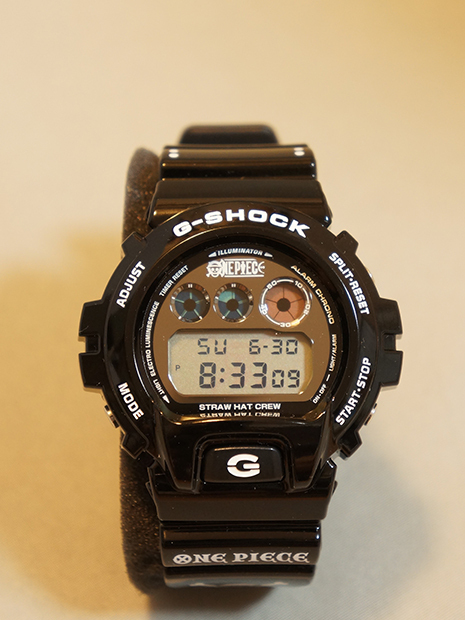 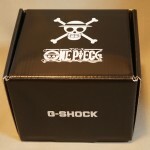 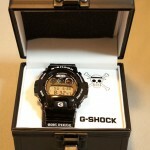 Looking for G-Shock – One Piece?